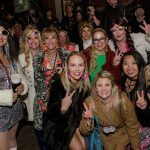 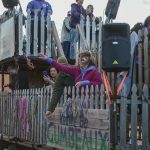 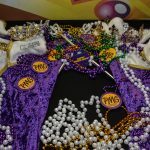 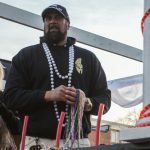 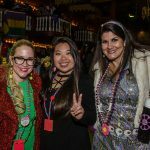 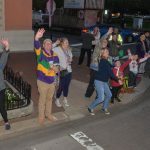 Fat Tuesday 2019 brought a new concept to downtown Pensacola, marking the first local Mardi Gras parades on the final day of the Carnival season in decades. 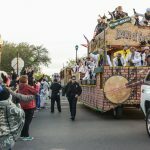 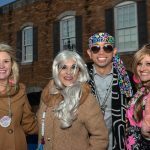 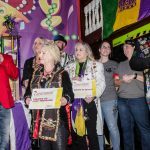 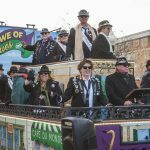 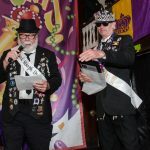 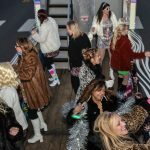 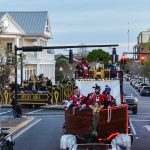 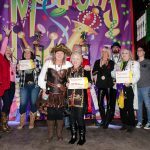 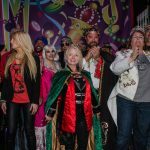 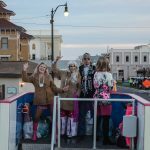 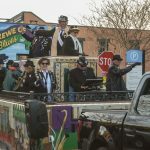 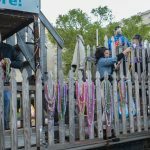 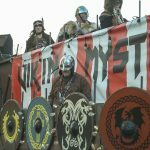 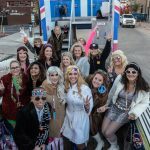 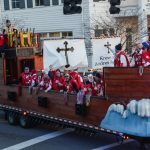 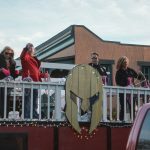 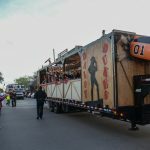 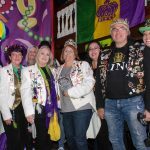 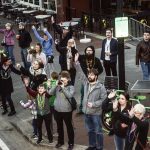 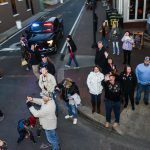 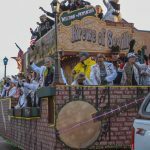 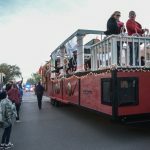 Pensacola Mardi Gras Inc. rolled out “pop-up parades” for the first time in its history, with more than a dozen of the community’s best krewes participating. 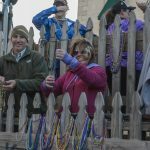 Floats were staged on several side streets to make quick, police-escorted runs up and down Palafox Place, rolling out in groups of three or four floats throughout the night to spread the Mardi Gras spirit. 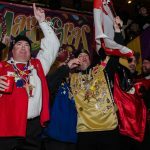 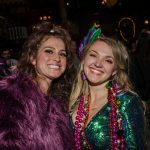 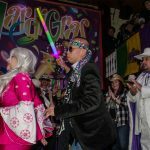 With lights, music and of course, plenty of throws, the pop-up parades brought an extra something special to Fat Tuesday, and krewes and onlookers alike seemed to enjoy it. 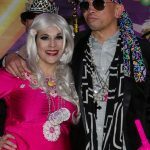 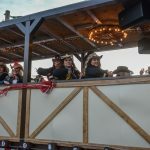 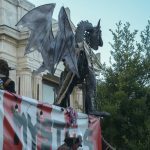 At about 7 p.m., the parades took a break for the annual Priscus Celebration inside Seville Quarter, culminating in the coronation of the King and Queen for Mardi Gras 2020. 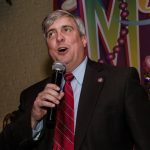 Dozens of krewes were represented for an evening of dancing, drinking and dining, as well as recognition of the royalty of all present krewes and presentation of the humanitarian awards, and some words of celebration from Mayor Grover Robinson and Terry Horne, executive director of the Studer Institute’s Center for Civic Engagement. 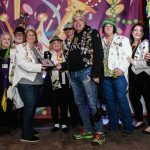 Members of the Krewe of Blues recognized the 22 krewes that participated in the annual Pin & Bead Festival, which rounded up more than 29,000 diapers for area children’s charities. 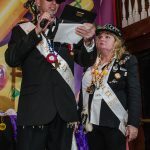 The most generous krewe at the event was the Krewe of SWAT, donating more than 11,000 diapers. 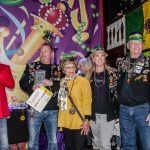 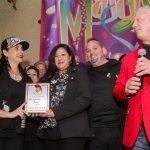 The Krewe of Sparta also presented its annual humanitarian awards for the krewes who gave most generously to its annual food drive for Manna Food Pantries. 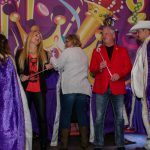 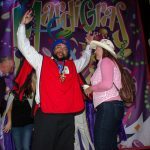 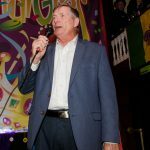 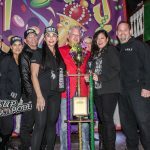 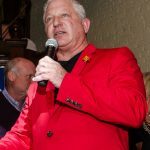 The krewe also announced that next year’s event will take place earlier in the year, on Jan. 5, immediately following the annual Kick-Off Celebration, as well as some changes to its point system. 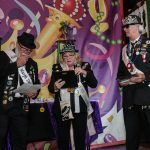 In addition to certificates of recognition to all participating krewes, Sparta presented two awards based on the sizes of the krewes. 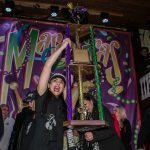 For krewes with 45 members or less, Krewe du Whoux finished third, Krewe of Cerveza came in second, and Krewe of Sirens was the winner. 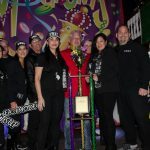 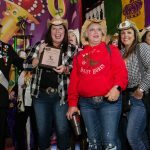 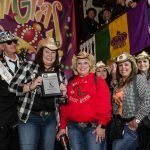 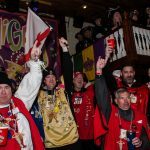 For krewes with more than 45 members, third place went to Krewe of Seville, Krewe of Warriors finished second, and Krewe of SWAT came out on top. 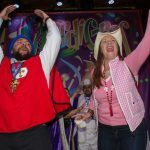 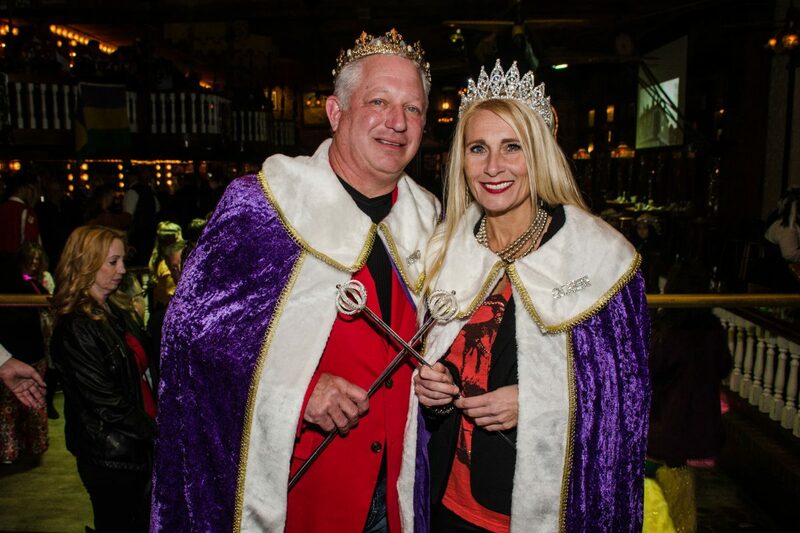 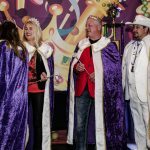 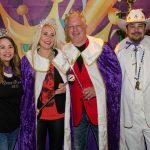 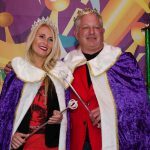 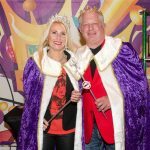 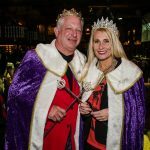 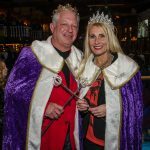 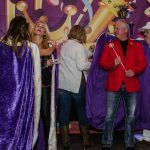 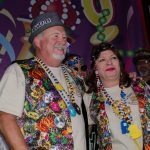 At last, it was time for outgoing king and queen Alan Bell and Pam Burke of the Krewe of Daisy Dukes to crown their replacements. 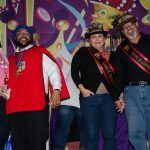 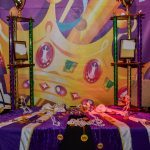 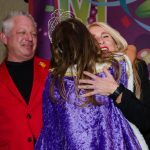 Royalty from two dozen competing krewes were invited on stage to be honored, but only one krewe would have the honor of putting forth the next king and queen. 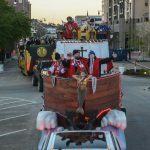 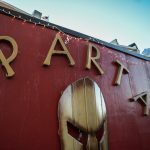 Krewe of Sparta! 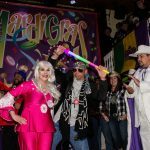 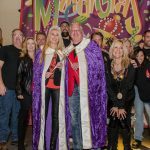 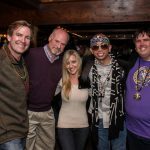 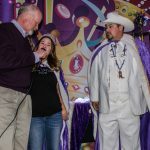 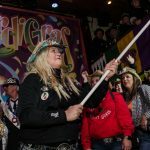 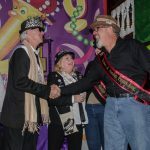 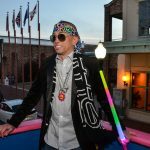 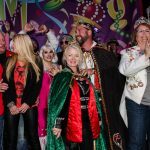 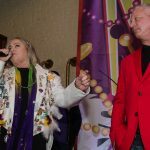 King Jimmy Hendrix and Queen Bobbie Vaughan will reign over the 2020 Mardi Gras season. 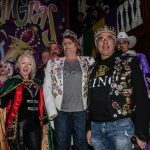 The king and queen celebrated into the night as parades resumed and Mardi Gras 2019 came to a close. 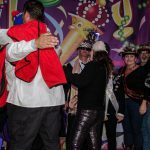 We’ll see everyone again next year!